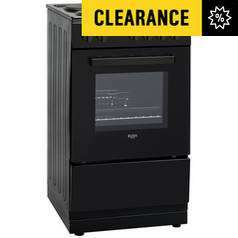 Massive clearance on Argos - includes kitchen appliances, Home & Living, Garden, Toys, Jewellery, Tech & more. Ignite the chef in you with this Bush electric cooker. Seeing double making triple! You can bake, grill, boil and more all at the same time, perfect for those special 3 course meals and glorious Sunday roasts. 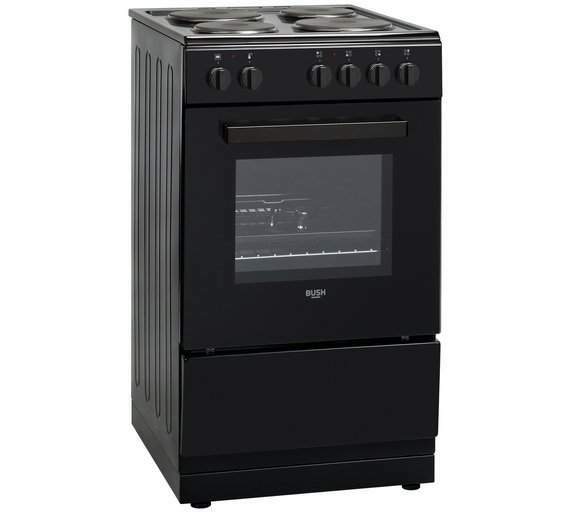 This slim fit all-in-one cooker in sleek black is a great addition to any kitchen. Thanks to the easy-wipe enamel, you can spend less time cleaning and more time feasting! LOADS More on offer, see links below. 6 functions for versatile cooking. 4 cooking zones - 2 small and 2 medium2 large. 4 sealed hotplate hob zones. 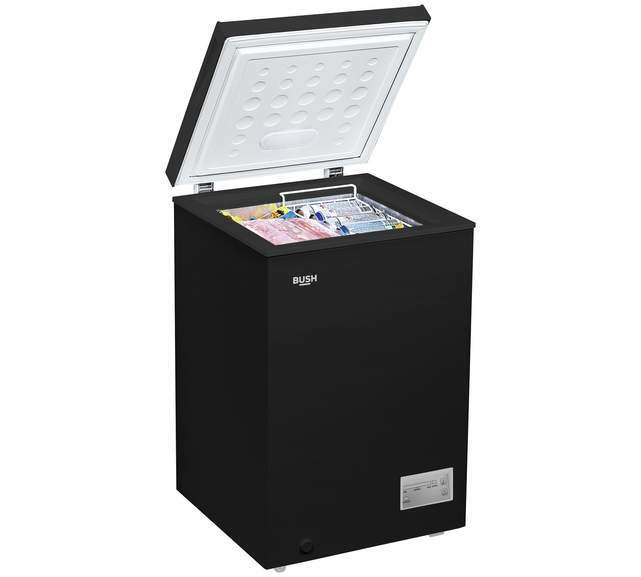 Give yourself 99 litres of extra space with this black Bush Chest freezer. Cook up your favourite meals and freeze ready for when you need to feed the kids in a hurry. Comes with a handy wire basket to store your go to freezer items. Control the temperature with the adjustable thermostat and keep on top of bills with an A+ energy rating. Slimline chest freezerfor that extra space as and when you need it. 30 hours power failure safe storage. Boxed size H88.1, W59, D55cm. What's the difference between an oven and a cooker? I'm looking to purchase a chest freezer, and one of the most recommended …I'm looking to purchase a chest freezer, and one of the most recommended features is a draining nozzle on the front for when you defrost it (every 6-12 months) - This one does not have one, so will give it a pass. Cooker is generally a combined freestanding oven, hob and possibly a grill. An oven is just that. ahh, that's what happened to Bush ! I own this. Paid about £160. It’s been good for us. 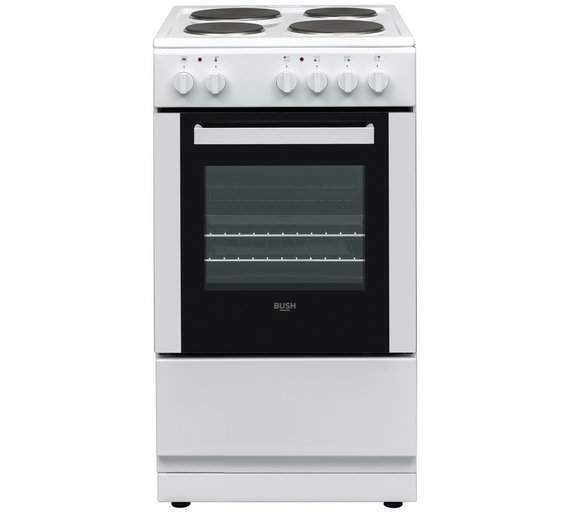 A cooker is a stand alone all-in-one unit that includes an oven and a hob on the top. An oven would literally just be an oven, usually for a fitted kitchen where the hob would be a separate unit fitted into the worktop. I'm looking to purchase a chest freezer, and one of the most recommended features is a draining nozzle on the front for when you defrost it (every 6-12 months) - This one does not have one, so will give it a pass. Argos (now Sainsbury's) bought the rights to the name and attaches to their own whitelabel stuff. What timing...thanks op!! I just busted the glass on my old candy oven changing a few burned out wires. New door glass £150...new oven £134. Winner but im still a dumb sh*t for breakin my door. cheers gooner. ordering that black electric oven. does anyone know the top temp for oven? cant see it anywhere? You can put a bun in the oven. Just a heads up. The black oven doesn’t have fan assisted cooking. I'm a fan of a Bush clearance but Mrs TN isn't sure she trusts Argos to do it. Same prices they’ve been all week. So where’s the HUGE clearance then? Nice of you to put the work into this post Goonertillidie.Iv'e noticed with Argos when they say HUGE clearance we probably think HUGE reductions but after looking through MOST of the kitchen appliances in the list above they either say " Our lowest price ever" which could be as little as 1p off.As they dont state a before price,or where they have it looks as though it's not even 10% off.Come on Argos if you want to shift it reduce it properly. Going to add heat ONLY for the work you put in Goonertillidie. There’s enough twats at Argos without you bringing the post Brexit economic collapse and rescue 51st state status in to it. Cheers OP. I see Argos aren't on TopCashback and only offer a kickback on Quidco for specific purchases. Anyone aware of any current discount codes or money off promos? once a year if needed(in the winter so stuff stays cold out side) just scrape off all the accumulated ice and scoop out. much quicker than waiting for it to defrost. Frost free chest freezers don't exist sadly. Never used the drain on our chest freezer(14 years)once a year if …Never used the drain on our chest freezer(14 years)once a year if needed(in the winter so stuff stays cold out side) just scrape off all the accumulated ice and scoop out.Don't even turn it off much quicker than waiting for it to defrost. Those are under-counter freezers and not chest freezers.